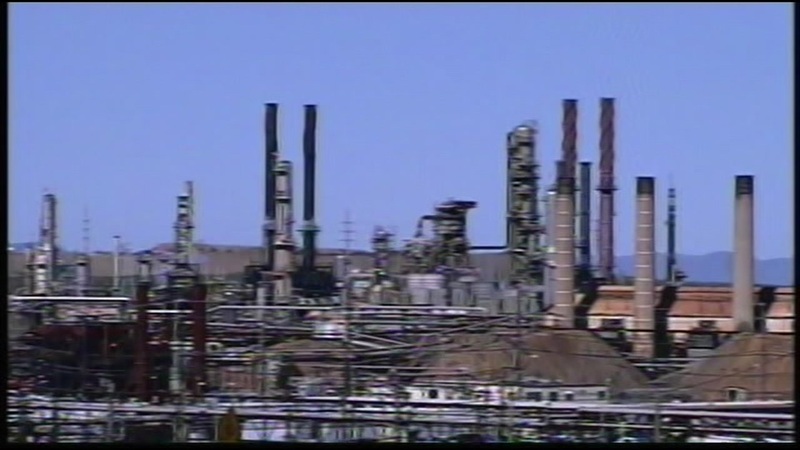 RICHMOND, Calif. -- The Bay Area Air Quality Management District has issued four violations to the Chevron refinery in Richmond over a flaring incident in December that led to dozens of complaints about a foul odor. At least 69 reports were made to PG&E on Dec. 28 and 29. The utility asks customers to notify them of rotten egg or sulfur smells since those scents may indicate the presence of a gas leak. Investigators focused their efforts on the refinery as well as a wastewater treatment plant in Richmond and landfills as possible sources of the odor, which smelled like rotten eggs. They also analyzed weather data and air quality monitors near the refinery. Ultimately, the district issued the refinery two citations for excess levels of hydrogen sulfide detected by ground-level monitoring equipment and two violations for creating a public nuisance. "This incident caused widespread concern throughout San Francisco and Richmond and was investigated thoroughly by the Air District as well as Contra Costa County Department of Health Services," executive officer Jack Broadbent said in a statement. "In addition to being cited for this incident, Chevron will be required to make changes to their operations to ensure it doesn't happen again," Broadbent said. Fines and other penalties have not yet been determined, but district officials said they intend to seek the maximum penalties available. Officials at Chevron were not immediately available to comment on the issuing of the violations. We are aware of the Bay Area Air Quality Management District's conclusion that flaring activity at the Chevron Richmond Refinery contributed to the odors detected in San Francisco on December 28 and 29. This is a complex issue, but given the small amount of H2S released, the 11-mile distance across the Bay, and the wide geography of the odor complaints, we believe it is unlikely that the flaring was the source of the odors.